A 100-teacher school can easily use 250,000 pieces of paper each year. Not only does the paper itself cost tens of thousands of dollars, but printing things on it adds several thousand dollars in additional expenses. Imagine the savings from cutting paper usage by half or more. Online forms can reduce paper usage considerably, and when those online forms are incorporated into automated workflows, the amount of time saved can be tremendous. Far less paper has to be filed or archived and chasing down errors is far easier with online forms than it is with paper documents. If your school is heavily reliant on paper, here are five forms and workflows your school should automate for maximum impact. Online student registration forms are nothing new, but there are steps you can take that facilitate faster processing and make things even easier for everyone. Making registration forms mobile-friendly is a step parents appreciate, due to the growing number of “mobile-only” households. Moreover, online registration forms can be automatically routed to the right personnel and to other workflows, like class scheduling workflows. Scheduling classes for hundreds of students using paper forms can be a logistical nightmare. Data from online class scheduling forms can be used to fill available class space on a first-come, first-served basis. Data on how many pupils want access to filled classes can be used to help reallocate teaching resources if possible. With online class scheduling, students can know quickly whether they got into the classes they wanted and can proceed accordingly. Teachers have enough to deal with on class field trips without also having to worry about paper permission forms. When it’s done electronically, all relevant personnel can have instant access to permission forms on their laptop or mobile device. And since online permission forms can be completed and submitted more quickly, teachers can plan for transportation and other logistics sooner than they could otherwise. 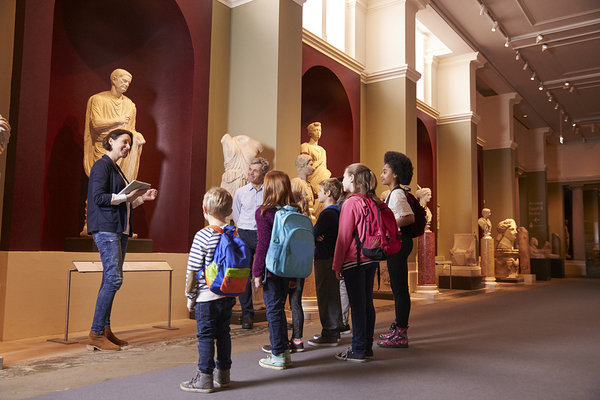 Field trips are work-intensive enough for teachers without having to worry about paper permission forms. Reporting a malfunctioning light fixture or air conditioning unit in a classroom shouldn’t take half a day. Online maintenance request forms that are mobile-friendly allow teachers to submit service requests quickly and receive confirmation that their request was received. Workflows surrounding maintenance requests can even allow teachers to check the status of their request, eliminating “phone tag” from chasing down maintenance workers to find out when the request will be fulfilled. School plays, band concerts, athletic events, and more require tickets, and allowing attendees to reserve tickets online saves everyone considerable time and hassle. Once someone has requested a ticket, it can be issued online, with the recipient receiving a confirmation, or even a barcode they can show on their phone at the door. Not only is it easier to handle the entire ticketing process, it’s easier to determine attendance numbers to make planning for future events easier. These are just a few of the many school forms and processes that can be streamlined using form and workflow software. Schools can use the same software for countless other processes like onboarding new teachers, reserving audiovisual equipment, recording disciplinary actions, and much more. 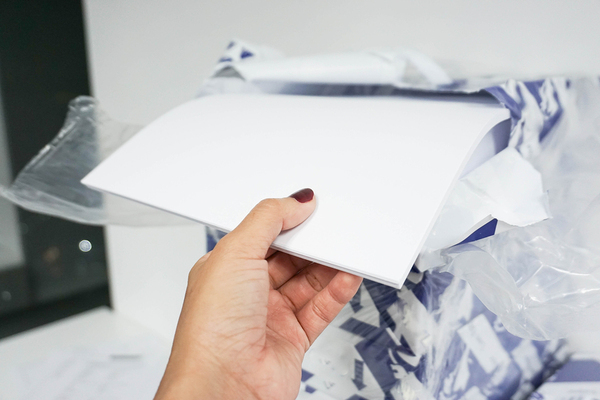 Benefits include less paper and less paper waste, lower costs, and swift ROI – something cash-strapped school districts can appreciate. PerfectForms is online form and workflow software that is easy to use and even comes with a broad selection of form and workflow templates to help users get started quickly. Users can create fully customized forms and workflows with an intuitive user interface that allows them to drag and drop form or workflow elements into place. Schools, businesses, government agencies, and nonprofits all use PerfectForms to reduce paper usage and increase efficiency and productivity. One California school district saved $10,000 annually by using PerfectForms to replace just one print order process! PerfectForms encourages you to read through our case studies for inspiration, and if you want more information, feel free to contact us at any time. We would be delighted to speak with you about your online form and workflow needs. 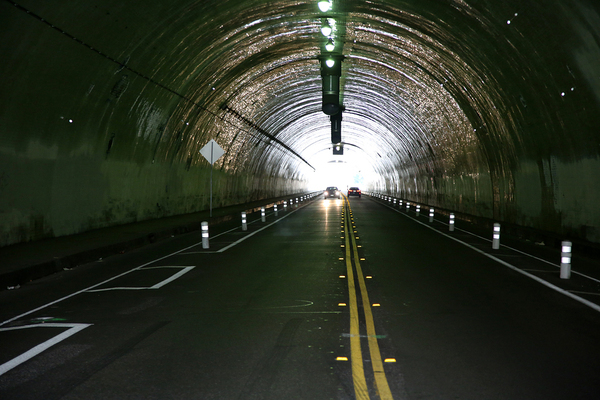 It’s easy to get tunnel vision when it’s time to upgrade workflow technology. to the people, products and processes they’re designed to help. For example, if your network is too slow, you want to upgrade it so it’s fast enough and has sufficient bandwidth that it won’t bog down. If it’s time to replace the additive technology machines you bought a couple of years back, you will naturally focus on the specifications for the latest systems you’ll be investing in. It’s essential, however, that you never lose sight of the so-called three P’s (people, product, and process) as your business grows and evolves. Think of it this way. If you have a shrubbery in your yard with a single branch that’s thriving and growing while the rest of the plant just hangs on, it’s time to focus on the entire system from soil and roots to moisture, sunlight, and maintenance. Likewise, when growing your business, you must never lose sight of the fundamentals, and the three P’s are as fundamental as it gets. Suppose you learn about a new piece of technology at a trade show that is the best, fastest, and most reliable in its class. Maybe you want to put that piece of technology to work in your business. But you shouldn’t make the decision before understanding how it would affect the people who would work with it. Maybe upgrading your technology is the right choice, and maybe waiting a while is the right choice. Either way, you can’t expect technology to solve every problem, and you have to invest in your people as well, so they will be trained and ready for new technologies. Otherwise, results will include frustration, and drop-offs in productivity that will have to be addressed. When you make changes to technology or the processes that use them, you have to ask how they will affect your primary product, whether it’s window blinds or financial reports. Will you take on production of new products? Upgrade existing ones? Can your workflows cope with either of these eventualities? Once you upgrade, say, your network or production equipment, how will productivity change? How might workflows need to change to accommodate technology upgrades? Can you modify workflows without major upheaval? Could back-office technology changes affect actual production? Could changes to automated workflows help? Technology upgrades and process changes go hand in hand a lot of the time. Processes have to evolve as businesses grow and change, and planning for process changes is essential for those changes to be as smooth and uneventful as possible. Automated workflows may be dedicated to a single process, or to multiple sub-processes, and your workflow software can make all the difference in how well you are able to adapt processes and workflows to changing needs. 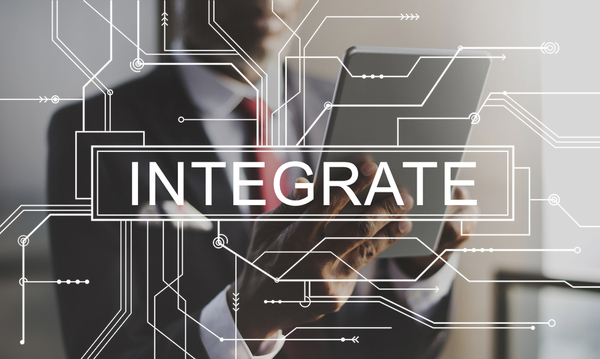 Ultimately, technology should bring people together rather than drive them apart. Your workflow software can make a measurable difference in how well upgrades and new technologies integrate themselves into daily business. Workflow software that allows change based on end-user feedback helps with managing changes, as do checks and balances that ensure workflow participants act when their input is needed. The best automated workflows are designed so the right people enter the workflow at the right time, have the tools they need to do their part, and pass along the process to the next participants with maximum efficiency. In other words, they bring the three P’s together seamlessly. PerfectForms is workflow software that takes the friction and inefficiency out of the processes your business uses every day. No programming is required, so workflow users can have more influence over how workflows are designed and managed. And when technology affecting one part of a workflow changes, the workflow can easily be modified to accommodate it. Never lose sight of the three P’s of successful business operation, and make sure your workflow software works with, and not against you as you align the three P’s to make your business thrive. PerfectForms encourages you to watch our demo video and see how the right workflow software has your back, helping you optimize processes, put your team’s talent to its best use, and connect the right people with your products. Does Your Workflow Software Support Outstanding Workflow Management? A workflow is a sequence of steps through which work passes as it goes from initiation to conclusion. Automated workflows are those where some or all of those steps are automated. 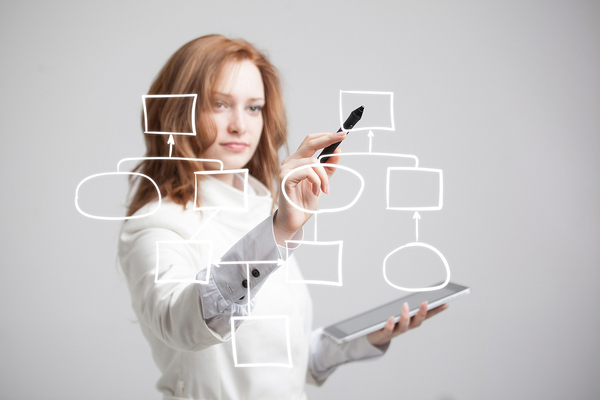 Going from concept to well-executed business process requires outstanding workflow software. If the purpose of a workflow is to achieve a result or complete some process, then the purpose of workflow management is to achieve better results, often by managing the “people” part of the workflow. For example, in a complex workflow, some people’s tasks may be done in parallel rather than in sequence, because they don’t affect each other. This can accelerate completion of the overall workflow. Excellent workflow management depends upon excellent workflow software. In the early days of automated workflows, the only way to visualize a workflow was through a flowchart or other diagram, or by reading through computer code if you could understand it. Today, you should expect a clean, intuitive interface from workflow software, so that you can visualize a workflow in its entirety and component by component. Being able to visualize a workflow lets you see where things may be done better in another order, or where steps that don’t affect each other can be done in parallel rather than in sequence. It’s hard to manage a workflow that you can’t envision. Workflow software includes form builders, because forms are a critical part of most workflows. The right workflow software will allow you to build conveniences right into the forms to promote better workflow management. For example, pre-filling of certain form fields can save considerable time. Suppose the workflow created for the hiring process includes numerous forms that require the job candidate’s name and contact information. Once the first form of the process is completed, subsequent forms can pre-fill name and contact information fields automatically, so there’s no duplication of effort. Other conveniences in automated workflows include automatic notifications to personnel whose input is required, automatically date- and time-stamping steps as they are completed, and saving data from the workflow for future reporting purposes. Reports using data collected by a workflow help with continuous workflow improvement. To improve a workflow, you have to know how well each workflow component performs, and reporting features allow you to do this with ease. You could, for example, record time to completion for a workflow and examine how that data trends over time. Then, should you choose to modify the workflow, you could compare time to completion for the modified workflow to that of the original workflow. 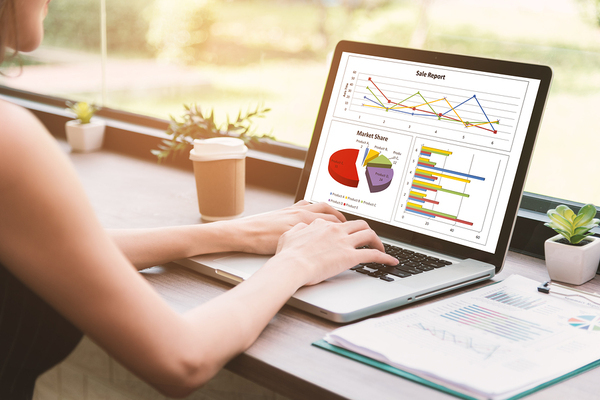 Workflow software should include powerful, easy-to-use reporting features so you can collect and analyze workflow data. The reports generated can help you envision ways to improve the workflow, and can guide you when you create new workflows. It’s an excellent method for keeping good workflow management high on the priority list. Workflow management requires understanding automated workflows inside and out, and you can’t do this without the right workflow software. PerfectForms is workflow software with an intuitive, drag-and-drop user interface that allows workflow creators to drag and drop elements into place. Visualizing the entire workflow, and different components of the workflow is a snap. Additionally, the form-building tools PerfectForms offers allow users to include workflow accelerators like pre-filled form fields, and checks and balances that ensure that the correct data is always entered into forms before they are submitted. And PerfectForms offers powerful reporting features that let you track and manage workflows so you can improve them in ways that make a real difference. Why not test drive PerfectForms for free by signing up for a trial? Workflow management is a strong competitive differentiator, and PerfectForms equips you to manage workflows with skill and ease. Posted in Workflow, Workflow Design, Workflow Software | Comments Off on Does Your Workflow Software Support Outstanding Workflow Management? It’s easy to think of the data you collect as static and permanent. But much of the data businesses use is in constant flux. Your online forms and workflows can go a long way toward ensuring your business operates only with the highest quality data. For example, the contact information for a client may change. 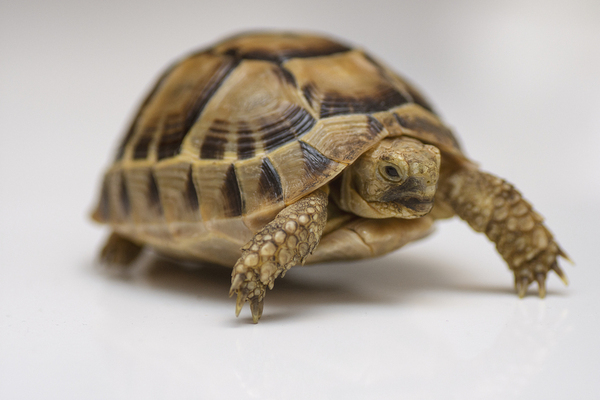 If you fail to note this change, you needlessly slow down the business process, and risk losing the client altogether. But managing living data is more than just getting rid of old data and replacing it with new data. Occasionally, for instance, you may end up with a new version of a document that is inferior to an older version, and being able to revert back is essential. Automated workflows can help you manage the “living” data your business encounters every day. Here’s how. So-called “dirty” data is data that is inaccurate, incomplete, or otherwise erroneous. The online forms you use to collect data can make a measurable difference in the quality of data collected. When online forms have built-in checks and balances to ensure that numbers go in number fields, that figures fall within accepted ranges, and the like, you maximize the chances of collecting (and ultimately using) “clean” and accurate data. Suppose some scientific value measured in a laboratory always falls within the range from zero to one. Online forms requiring this data can set a rule rejecting values that fall outside this range. Then, if someone should inadvertently try to enter a value like 1.5, the form can pop up an error message immediately so the value can be corrected before proceeding. The result? Cleaner data. Collaboration is a wonderful thing in the modern workplace, but it requires management. If multiple people collaborate to author a report, it’s essential that everyone use the same document version at all times. Automated workflows can be designed to ensure that this happens without fail. A workflow “owner” can create a new document version either as needed or at prescribed time intervals, numbering and archiving older document versions as updates occur. Not only does it help ensure that all collaborators are on the same page (literally and figuratively), but if a new document version has too many errors or problems, it’s easy to revert back to an earlier version and regroup. Collaboration works best when workflows ensure everyone is working with the right version of a document or other data set. Online forms for data capture are far more useful when they are mobile-friendly. 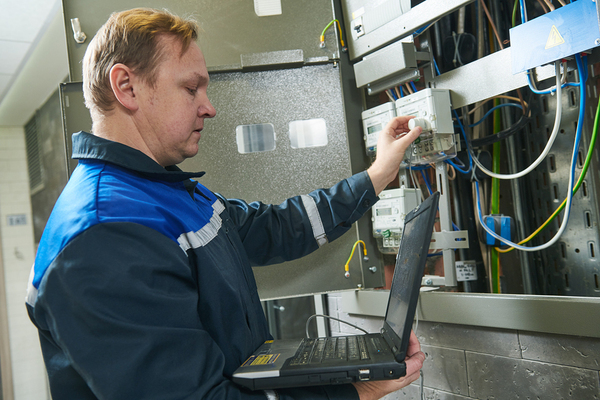 Companies that use field technicians, or where employees capture other data outside the office benefit tremendously from mobile-friendly online forms. The forms themselves can include necessary checks and balances to ensure only correct data is entered, and automated workflows can archive older form versions automatically. This type of form and workflow interaction is also tremendously valuable for creating reports, especially when the reports track data points over time. “Dirty” data is a real problem for business, and data must be managed, cleaned, and updated regularly for business to proceed at its fastest pace and to achieve its best results. How a business designs online forms and automated workflows can go a long way toward ensuring that the data the business uses every day is as accurate, current, and complete as possible. PerfectForms is workflow software that makes it easy to create customized, mobile-friendly online forms and automated workflows with all the backstops, checks, and balances necessary to capture clean data and manage it skillfully. Designing online forms and automated workflows is easy because of PerfectForms’ intuitive drag-and-drop interface, and building in rules, alerts, and instant error messages is easy as well. If you’re interested in the solution that not only powers efficiency and accuracy, but also helps ensure your data collection and management efforts pay off, please contact us at any time. We would be delighted to talk with you about the best ways to collect and manage the data your business relies on. Rarely do workflows go seamlessly from concept to everyday use, because it’s impossible to foresee all possible problems at the beginning. Staging deployment of automated workflows helps address skepticism and assure good results. Making the transition from idea to regular use can go more smoothly if workflow design is done in stages, starting with proof of concept, proceeding to a small pilot project, followed by training, practice, and deployment. Here’s how to ensure those stages of workflow development happen with minimal problems and backtracking. This is where you come up with a solution to a problem and determine if it’s feasible. Suppose you head a local government department and have determined that citizen requests for oversize trash pickup should be made online rather than in person, on paper, or over the phone. Can we afford the workflow software to do this? How will we let people know this is the new way to make requests? How much will we ultimately save in terms of time and physical resources? What objections might people raise to this new way of doing things? A pilot project for your new workflow requires that you know how to use the workflow software and have created the forms people will use online to request services. People in the office have tested out the forms to make sure they work. 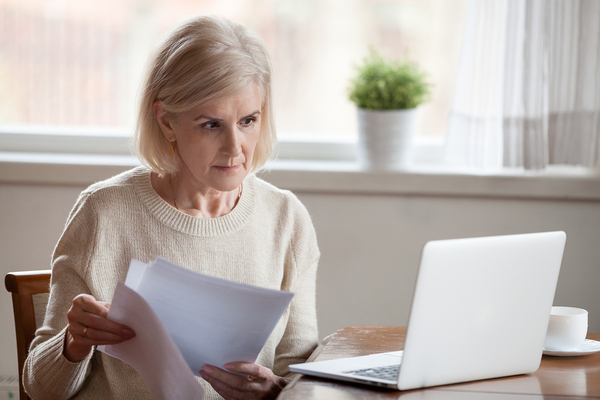 The people who will eventually process the forms have seen what it’s like receiving completed forms and ensuring they collect all necessary information. At this point, your pilot project can deploy on a limited basis. Perhaps you can start with a single neighborhood, to gauge reaction and willingness of people to use it. When people in the pilot project neighborhood start actually using the new process, you can collect feedback from them on what they liked and didn’t like, and what problems, if any, they experienced. Information collected during the pilot project can be used to fine-tune forms and workflow to prevent bottlenecks, and to determine the best way to prioritize requests. Your pilot project gives you the opportunity to course-correct and make changes before taking the project citywide. Pilot projects are great for listening to feedback and fine-tuning workflows. Once your pilot project has collected the data necessary to correct and fine-tune forms and the workflow itself, you still need to test the final workflow thoroughly before deploying it. Each person involved in the workflow, from clerks to dispatchers to truck drivers, must be trained in how to use it. Ideally, you can have a few practice runs to make sure everything clicks into place as it is supposed to. Only after everyone who will use the workflow has been trained are you ready to deploy your workflow for real. The day a new workflow goes live, make sure all lines of communication are open. That day is not a good day for the workflow designer to be out of the office. It’s wise to have a handful of people designated to switch back to the old way of doing things if there’s a major problem, but hopefully it won’t come to that. Once the workflow goes live, the workflow designer and key personnel should take stock after the first day, after a week, and after a month to find out if unforeseen problems or bottlenecks have emerged. This way, they can be handled before they cause major problems. When the workflow is in daily use and doing what it’s supposed to do, it’s smart to write up a report detailing project phases, problems solved, and lessons learned. This will make it easier when new automated workflows are created later on. The right workflow software will help you not only design automated workflows, but also take them through every stage from concept to everyday use with ease. PerfectForms, with its intuitive drag-and-drop interface, makes creation of customized online forms and automated workflows straightforward, so you can create, test, train, and deploy on an accelerated schedule. We encourage you to read through some of the many PerfectForms case studies and see the results of automated workflows in a variety of real-world scenarios. Most people long for technologies that would make their day-to-day work faster and easier, yet when someone actually proposes such technologies, they may balk. It’s easier to daydream about change than to actually put it into practice. New ways of doing things are unsettling, because there are so many questions. Will the system make sense? Will jobs be in jeopardy because of automation? Who will people ask for help? Pushback is inevitable with new technologies, even if some people really want them. Handling pushback and ensuring that the rollout of new automated workflows is successful requires preparation in advance, and commitment to several “best practices” at all phases of the project. Here’s how to do it. The last thing you want to do is to spring automation on a work group after it’s already a done deal. Discuss possible workflow improvements even before you design new workflows. In fact, having workflow end-users involved in design of an automation project is smart for several reasons. For one thing, you’ll gain buy-in more readily. For another, people are likelier to embrace change if they have a hand in designing it. As important as buy-in is at the executive level, it’s even more important among the people who will use new workflows in their daily tasks. As a workflow automation project progresses, err on the side of communicating too much rather than too little. During times of change, no news is bad news, and people can imagine all sorts of scary reasons why they’re not being kept informed. Regular communication about project status, expected roll-out dates, and training for new workflows helps everyone prepare mentally for change. Likewise, if there are setbacks, it’s OK to talk about them too. People feel far less threatened by new technologies when they are kept in the loop about how and when the technologies will be deployed. Deployment of automated workflows should be regarded as a marathon, not a sprint. A major automation project is not the time to rush things. Naturally, you want to start capturing ROI as soon as possible, but it’s far better to create, test, and deploy automated workflows at a pace that allows for course correction, feedback, and thorough understanding at each step. Having workflow end-users involved at every stage is also helpful. What works in theory may not work well in practice, and your workflow users are the experts you need to tell you what works, what might not work, and why. Deploying new automated workflows without training is unfair to everyone. Workflow users may be bewildered, no matter how self-explanatory new workflows are, and this may mean they don’t give a new workflow the chance it deserves. 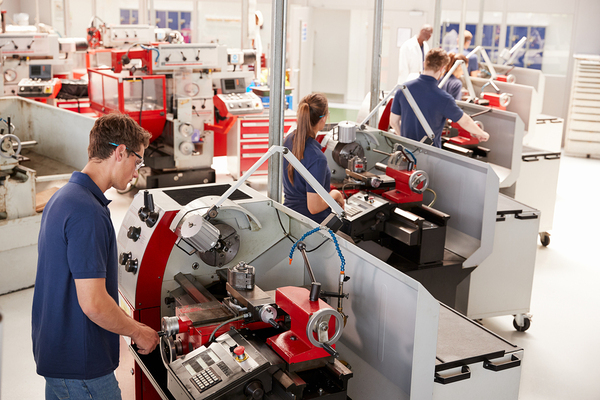 When planning a workflow automation project, be sure to include sufficient time for training. Ideally, your workflow users should be able to learn how to use the workflows, and then practice them in a safe, simulated environment to get used to them before putting them into service for real. The workflow software you choose for design, creation, and deployment of automated workflows makes all the difference in your success. PerfectForms is workflow software that requires no programming. Since it uses an intuitive, drag-and-drop interface, workflow end-users can look at workflow designs and offer their feedback. In fact, PerfectForms was designed so that workflow end-users could have influence over workflow design, because they’re the ones who will be using the workflows in their day-to-day work. Any work project that changes how things are done will meet with some resistance, no matter how ready people are for change. By including affected personnel from the start of the project, communicating regularly with them on status updates, offering training, and pacing deployment sensibly, you can cope effectively with pushback. Better still, you’ll have a team that’s ready to go once the new automated workflows go live. PerfectForms invites you to watch our demo video. In just a quick minute or two, you can see for yourself how PerfectForms empowers businesses to create automated workflows that are custom tailored to meet unique needs. Business inefficiencies can slow growth and cost money. Tiny inefficiencies add up over time, costing businesses money. Many businesses turn to automated workflows to increase efficiency and help prevent errors that can more easily enter into old-fashioned, manual workflows. While automated workflows are more efficient and accurate than manual ones, they sometimes have their own inefficiencies that prevent them from operating faster, which can needlessly slow down the pace of business. Before you start using your workflow software to create workflows, take time up front to predict where inefficiencies can creep in, and design your workflows to avoid such inefficiencies. You won’t always get it right the first time, but good planning can help workflows run as efficiently as possible, right out of the gate. 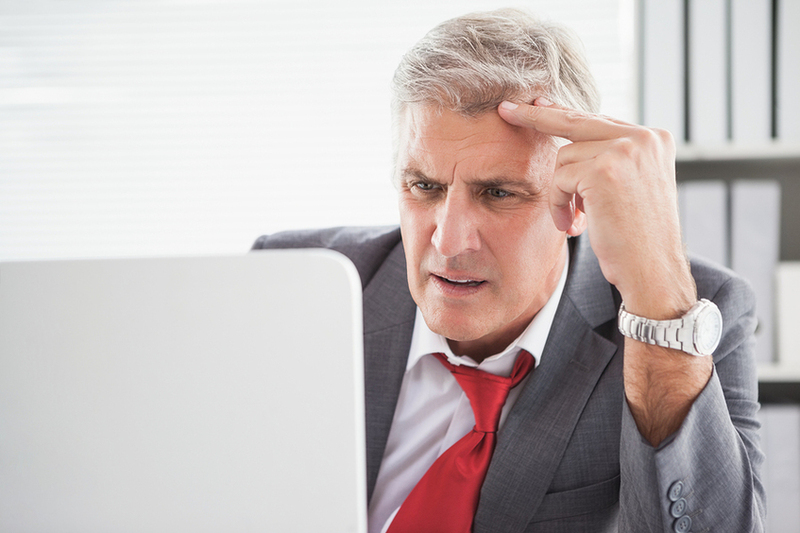 Here are four steps you can take to banish inefficiencies from your automated workflows. Automating workflows begins with understanding them from end to end. Sketching out workflows with help from the people who use them most can highlight inefficiencies and bottlenecks. Divide each workflow into its most elemental steps, and ask end-users where they tend to experience problems and why they think that is. Knowing where inefficiencies lie in wait is like knowing where the best fishing spots are: it makes catching them easier. HR processes are prime candidates for workflow automation, because so many of them involve repetitive data entry. Imagine logging into an HR workflow (to schedule paid time off, for example) with just your employee ID number and having the right forms pop up with your name and other relevant employee information already filled in. Automated workflows are great for capturing data one time and routing it to other necessary places in the workflow without further data entry. With the right workflow software, workflow data can be captured from any number of sources, including existing databases, emails, mobile apps, and websites. Can your workflow software integrate with spreadsheets, databases, and other office systems? Online forms magnify efficiency on their own. And when online form fields are “smart,” they improve efficiency further. The right workflow software will allow you to specify which type of information goes into specific form fields, so that errors are caught before the form is even submitted. Suppose you have a quick workflow for purchase orders under $500. You can use your workflow software to ensure that if someone enters a value into the purchase amount field for more than $500, it is flagged immediately, so the user can correct it or switch to a workflow for larger purchase orders. Validating form data upon entry saves time, reduces errors, and helps you maintain strong workflow efficiency. If your workflow software is mind-boggling, limited, or requires that you hire a programmer to use it, you’ll have a much harder time creating efficient workflows. Today you can choose workflow software that requires no programming and that allows you to draft, test, and perfect automated workflows before deploying them. PerfectForms offers you an intuitive, drag-and-drop interface that you can use to create both customized online forms, and the workflows that handle them. It can draw data from sources like spreadsheets and databases, and use input data to auto-populate forms, to minimize or eliminate repetitive data entry. You can also design form fields to accept specific types of data, and to flag errors when wrong data is entered. With PerfectForms, you can use automatic alerts to signal other workflow users that their input is needed, and you can collect workflow data for easy reporting later on. Best of all, you can test drive PerfectForms by signing up for a free trial . Workflow inefficiencies can cost your company money and time. PerfectForms offers you the tools you need to banish those inefficiencies. Virtual reality (VR) represents a “slow burn” disruption happening in the workplace. Expect this to be a more common sight in the offices of the future. While some companies regularly use VR technology now, it will probably be another three to five years before it becomes commonplace. We’re just now figuring out how to put VR to work, and new applications for it will undoubtedly emerge as everyone gets the hang of the technology. It is likely that VR will become elemental to many types of automated workflows as the technology matures. 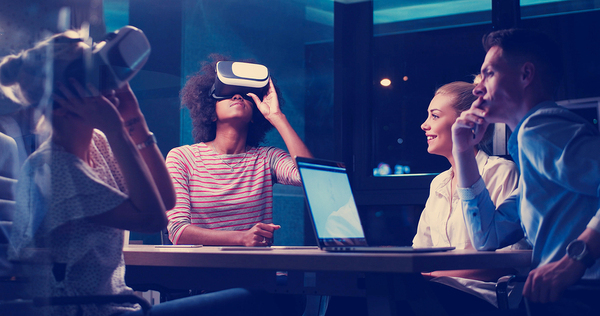 Some current VR applications make sense as part of automated workflows, particularly in the areas of training, 3-D viewing, and collaboration. Perhaps the most obvious use for VR in automated workflows is in training. The very first flight simulator (an early form of VR) became available for sale back in 1929! These early designs gave way to more elaborate simulators costing millions of dollars that were used to train airline pilots as well as military pilots. And today, VR can make the experience more immersive than ever. The range of application for VR in training workflows is potentially huge. Automated VR workflows could step trainees through processes like handling hazardous chemicals, learning how to use equipment, or even “practicing” surgical techniques. Safety training is predicted to be a major user of VR technology as well. Imagine designing a workshop, home interior, or store layout and being able to “walk” through it using a VR headset. This is fast becoming reality as virtual technology advances to where it can turn two-dimensional plans or blueprints into 3-D virtual spaces that can be visited with the aid of a headset. As the technology becomes more common and affordable, such 3-D “step-throughs” may become a part of automated workflows in architecture, interior design, and other professions concerned with the arrangement of space in three dimensions. Most companies already use video conferencing as a way to bring geographically dispersed teams together for meetings. Seeing everyone’s face and body language makes such remote meetings more informative and engaging than traditional conference calls. 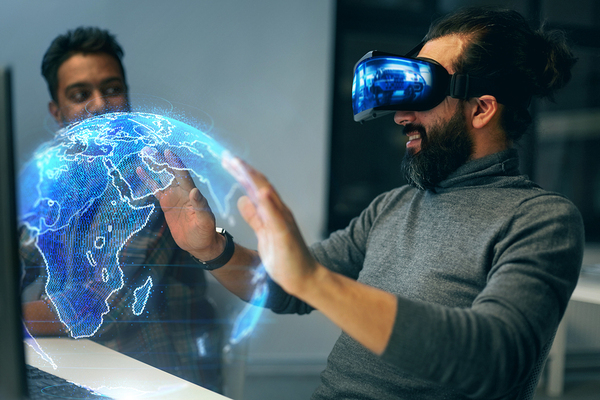 Virtual reality may take it a step further, creating virtual 3-D spaces that could take video conferencing into another dimension, bringing people together in a single virtual room from all over the world. VR technology exists on some level in high-end clothing retailers’ dressing rooms, allowing people to virtually try on clothing. Consumer choice data from virtual dressing rooms could help retailers learn quickly which trends are catching on, and which are not worth investing in, potentially reducing waste while still giving consumers what they want. 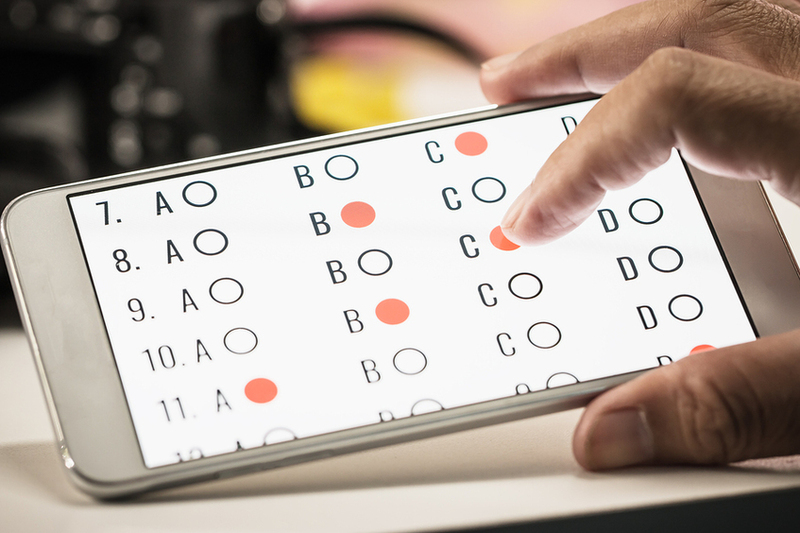 Potential applications for consumer testing are practically endless. Imagine designing a car and allowing consumers to virtually test drive it before the design is finalized. Or having customers customize their own bicycle design and then virtually “ride” it before placing an order to have it built. There are already a handful of companies offering VR solutions for the workplace, and you can expect many more to emerge in the coming five years or so. While inserting VR won’t be appropriate for all automated workflows, it is likely to be a smart addition to many of them. Automated workflows, like those you can create with PerfectForms, power businesses in every industry, allowing consistency, efficiency, and collection of valuable data every day. With PerfectForms, you can create customized online forms and automated workflows for an endless range of applications, from HR to building maintenance to IT and more. Even without VR, automated workflows save businesses considerable time and money, raising revenues and streamlining operations. We invite you to look through some of the many PerfectForms case studies and see for yourself how automated workflows transform business operations. The two main ways companies fill vacant job positions are partnering with a recruiting agency and doing recruiting in-house. In-house recruiting makes sense for many businesses. Automated workflows make it efficient. In-house recruiting teams act as an extension of the HR department and may include people from multiple departments, including the departments with unfilled positions and often the company’s marketing department as well. Doing in-house recruiting effectively requires strong coordination, and automated workflows help this coordination take place. One of the main advantages of recruiting in-house rather than using an agency is control over the process. While agencies may be necessary for filling highly specialized positions (where candidates can be hard to find), in-house recruiting often works well for the majority of front-line employees. Another advantage of in-house recruiting is that the entire process can be imbued with employer branding elements. In other words, from the first time a potential applicant learns of the open position, they are also learning about the company itself, as well as its values and goals. Automated workflows for sourcing and selecting candidates must incorporate necessary advertising of open positions, as well as gathering information from interested parties, and receiving completed job applications. Coordinating these activities is more complex than many people expect. Posting job ads, for example, can change as the team discovers which job boards are most effective at reaching qualified candidates. Later, candidates who express interest can be funneled into the application system, and ones who actually fill out applications can be separated from those who don’t. Keeping key recruiting team members apprised of these developments is done more accurately and efficiently with automated workflows. Once an applicant submits their application and other necessary materials, like their resumé, tracking them is critical. 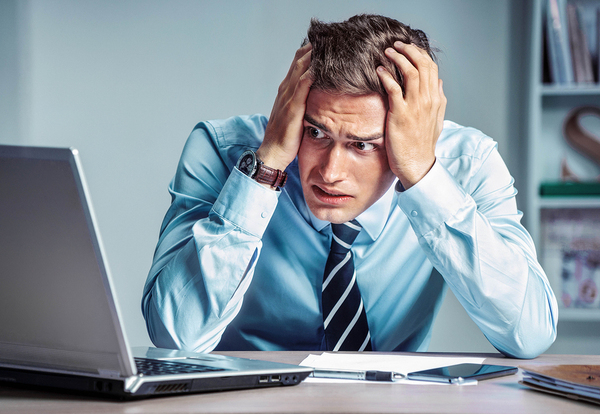 “Lost” applications can let great candidates slip through the cracks! Automated workflows can ensure that applications are processed, and can issue alerts when recruiting team members fail to act on a submitted application in a timely manner. when nobody acts on submitted applications within a set time period. Likewise, interview scheduling must be coordinated. Automated workflows can gather necessary information from both the applicant and the recruiting team to schedule interviews that work with both the interviewee’s and the recruiting team’s schedules. It is the latter stages of the recruiting process that are perhaps most important: delivering offers and completing the onboarding process. Both of these can be accomplished through automated workflows that ensure that no steps are missed and no time is wasted. Once a workflow creates an offer based on input from the recruiting team, it can either deliver the offer via email or compose a formal offer letter that the leader of the recruiting team can deliver. Once a candidate accepts a job offer, the automated onboarding workflow can begin. Excellence in the onboarding process is essential to keeping new employee turnover to a minimum. New employees, who are already anxious about their new job working out, can easily become disillusioned with a new employer if the onboarding process is disorganized or needlessly outdated. Automated onboarding is one key to getting new employees up to speed and part of the group as quickly as possible. Doing recruiting in-house requires a strong recruiting team and workflows that support both the team and the job candidates. There is no place for disorganization or for processes that are needlessly cumbersome or manual when they can be automated. PerfectForms is workflow software that makes it easy to create the online forms and automated workflows you need to inspire and empower your in-house recruiting team to find, interview, and hire the best candidates for your open positions. With its no-programming interface, PerfectForms allows users to drag and drop elements in place, creating perfectly customized online forms and automated workflows that are uniquely tailored to their needs, and that incorporate their company branding elements at every step. Take a look at the PerfectForms demo video and learn how it can help you create the perfect in-house recruiting workflows, as well as workflows that streamline and accelerate a range of other business processes. Workplace policies are about making sure everyone in the workforce is safe and understands their responsibilities and obligations. They are also about ensuring fairness in the workplace. Many businesses are bound by laws and regulations, and it is mandatory that employees know about, read, and understand the policies that ensure all regulatory requirements are met. One way and the other, businesses must have a system in place to create and distribute their policies effectively and efficiently. Automated workflows can help. Thankfully, the days of placing a paper memo into each person’s departmental mailbox are over. Distributing policies and policy changes electronically makes infinitely more sense in terms of resources saved and errors prevented. Automated workflows can be created to email policy documents to affected workers all at once. They may even be able to interface with the email program to determine if and when the sent emails have been opened so that there is a record of each employee having received the document. It’s not that hard to ensure everyone receives policy documents, but how can you be confident everyone has read them and understands them? One way is to include in policy emails a link for people to follow if they have a question or don’t understand something about a new policy. The link can go to an FAQ page, or open an online form in which employees can ask their questions and ensure they are sent to the right person to answer them. Some companies ensure that employees have read policies by having them complete a short, simple quiz as proof. These, too, can be administered through a link in a policy email that goes to an electronic form. Once the user passes the quiz, they are marked as having received, read, and understood the policy. But what about the people who ignore emails? Workflows can also be triggered to deal with those people. For important policies, your workflow could, for example, trigger a login action opening the reminder and form upon login and preventing them from continuing with their normal work until they demonstrate that they have read the policy. With policies, you must be careful not to inundate employees. Obviously, some are more critical than others, and the most important ones are the ones that can be integrated with automated workflows ensuring employees read and understand them. The use of short quizzes can be reserved for these critical policy documents so as not to take up more employee time than necessary. The problem with deluging employees with policy documents, and considering them equally critical, is that eventually employees will acknowledge them without reading or understanding them, just to get on with their day. Therefore, it’s important that you know when to use your policy distribution workflow and equally as important, when not to. The right workflow software will help you create policy workflows that make sense and that can be customized so that the right people receive the right policy documents at the right time. It will also automatically keep records of policies distributed, acknowledgements, and policy quiz results so they can be called up at any time, should a conflict, policy violation, or misunderstanding arise. PerfectForms is the ideal workflow software for this and countless other business workflows. By allowing users to drag and drop workflow elements into place, PerfectForms eliminates the need for programming while helping users deploy useful, value-adding workflows as quickly as possible. We invite you to watch the PerfectForms demo video. 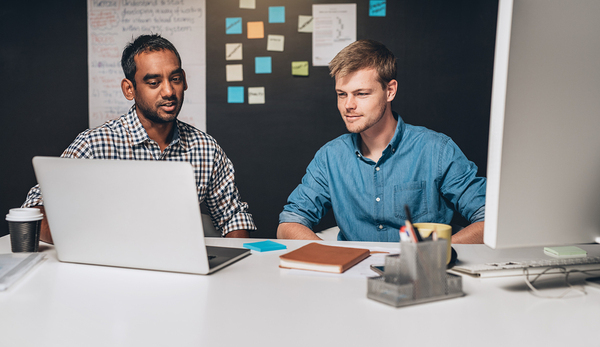 It only takes a minute, and you’re sure to come away with ideas and inspiration about how you can put automated workflows into service to make your business run better.